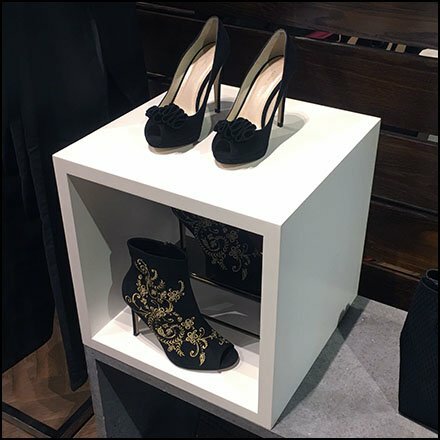 This simple Shadowbox Cube at Karen Millen Flagship Store both frames the merchandise and acts as Pedestal. As a hollow cube with shadows the outfitting adds a greater dimensional appeal. Also hollow it allows display of twice as much merchandise. This Shadowbox Cube at Karen Millen Flagship Store seen in Manhattan. “Shadowboxes Pinterest Board“ visual summary.